I have become a huge fan of Rick Davis of the Consumer Metrics Institute, the Colorado-based effort that tracks real-time consumer purchases to project future economic growth. Recall that during my March 28th conversation with Rick on No Quarter Radio’s Sense on Cents with Larry Doyle, Rick projected that 2nd quarter 2010 GDP would register a -1.5% (yes, that is a negative GDP for 2nd quarter 2010). You can read a recap of my interview with Rick here. I am pleased to relaunch our weekly departure from “Central Station” on Saturday mornings. This endeavor here at Sense on Cents is a few hours of written Q/A with your resident host. I like to utilize the theme of a ride on the rails, so please allow me to expound. 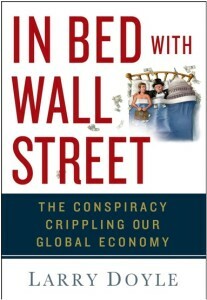 With so many cross currents at play in the markets, economy, and world of global finance, where can one go to develop a framework of understanding, enjoy the company of friends, and make sense of the madness? 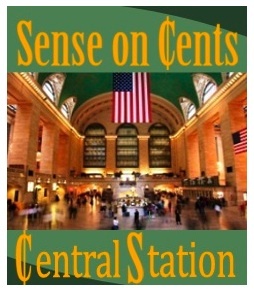 Welcome to Sense on Cents “Central Station.” Our ride departs Saturday morning at 9 a.m. with an expected return at 12 noon. While we traverse the curves along our track, we can address a wide range of issues, including: Obama’s economic plans, Secretary Geithner’s outlook, the market performance this week, month, and year to date, developments overseas, the outlook for our financial regulatory structure, issues of personal finance, or anything else on your mind. Our ride is most productive with as many people participating as possible. Please bring not only your questions, but also your views. Invite friends, neighbors, and colleagues along for the ride as well. Your conductor is not a professional financial planner. I recommend that you consult with a licensed, qualified professional before making any investment decisions. 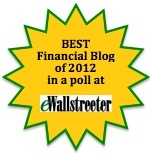 I am merely a Wall Street veteran looking to help you navigate the economic landscape!! Come on back tomorrow morning at 9, submit your questions in the comments section, and away we go.. Aaaaaaaaaaaaaaaall Aboard! !